After staging a violent raid on RT's office and other media organizations in Ramallah, the Israeli Defense Forces have been asked to provide an explanation. But their vague and inconsistent response has raised more questions than it answers. 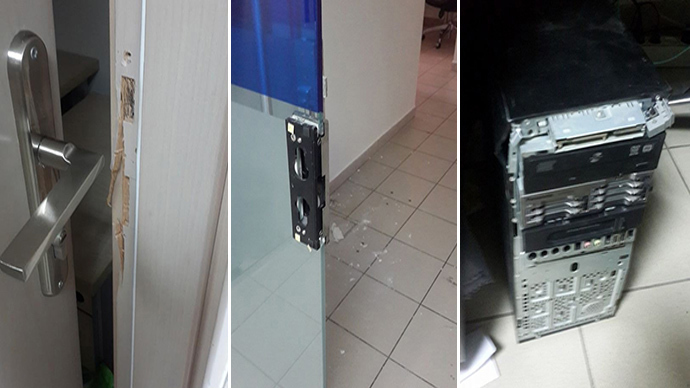 In the early hours of Saturday, the IDF raided the Palmedia broadcast service provider's building in the West Bank city of Ramallah, breaking down doors, destroying equipment and confiscating records. The materials and archives of RT's Arabic service were seized. “The aim of the operation conducted in the small hours of Saturday, was a Palestinian company Palmedia. The reason is that it provides services to Al-Aqsa TV, which has propagandist and inflammatory content. That’s why the search was performed there,” an IDF representative told RIA Novosti news agency. The first inconsistency with the real situation is that Palmedia does not provide any service to Al-Aqsa. In fact, the Palestinian Hamas-linked TV channel employs the services of Transmedia and is based in another building. “Palmedia is a major provider in the Middle East, with globally famous media such as Al Manar, Al Maydeen, France 24 and, formerly, BBC Arabic utilizing its services,” RT said in a statement addressed to the IDF. 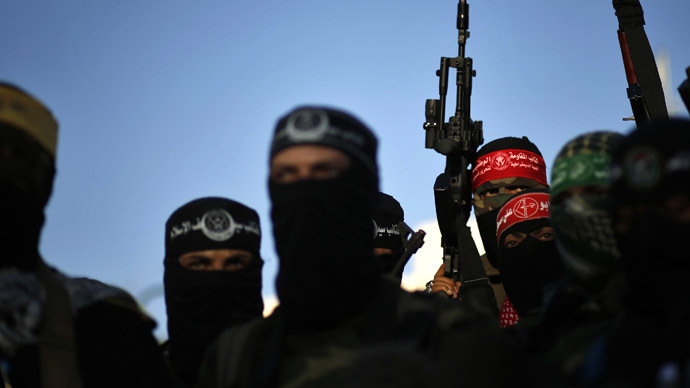 “The Al-Quds station serves as the mouthpiece of the terror organization and regularly is used to encourage recruitment, terror acts and fundraising for Hamas. These confiscations were done as part of Operation "Brother's Keeper" to rescue three Israeli teenagers that were kidnapped over ten days ago by Hamas,” the IDF said in its response to RT. Here is the second contradiction, because, despite the claim, Al-Quds’ office was left untouched. 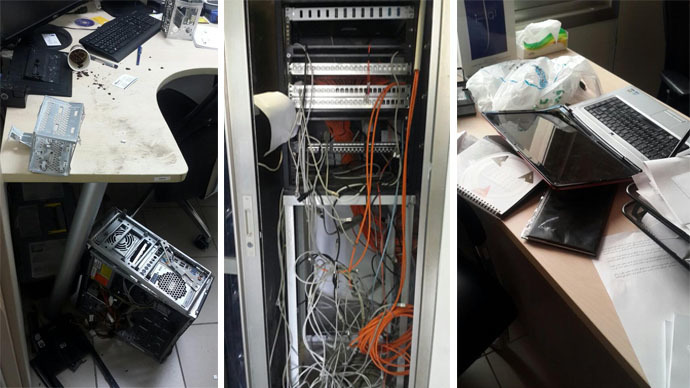 “The IDF confiscated all the equipment of the office,” the Israeli army representatives said in response, adding that “after the examination of the discs and the equipment” it will be returned to its “rightful owners” if “there is no terror-related content” found. But this statement contradicts the fact that property in Al-Quds’ office was not confiscated, according to RT Arabic’s information. What also remains unclear from the IDF’s statements is who its soldiers were really targeting: Al-Aqsa, Al-Quds or all the media organizations using Palmedia's services. “RT considers the intrusion into its office in Ramallah unacceptable, coming under false accusations that Palmedia is cooperating with the Hamas political party,” RT said in a statement. The raid on the RT office as well as other broadcast companies came as Israel is conducting a search operation for Naftali Frankel (16), Gilad Shaer (16), and Eyal Yifrah (19), whom Israeli Prime Minister Benjamin Netanyahu announced had been kidnapped by Hamas. According to IDF officials, the military has searched a total of 1,400 sites since last week in hope of finding the teens. 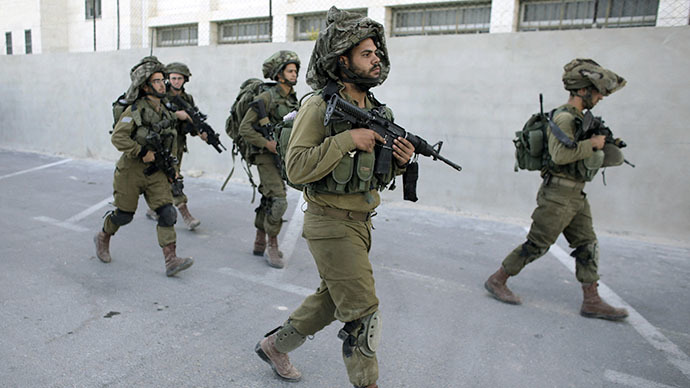 Israeli security forces have rounded up 355 Palestinians since the start of the operation, Haaretz wrote on Saturday.